What Kind of Tow Truck Does Your Client Have? Home > Garage and Towing Liability > What Kind of Tow Truck Does Your Client Have? 09 Apr What Kind of Tow Truck Does Your Client Have? When your client’s towing company is transporting a third party’s vehicle, they are on the hook for a lot of potential liability. Not only can they be responsible for damage that occurs to a vehicle while it is in their garage for repairs or storage, there is also the potential risk of a physical altercation when a vehicle is being hooked up for towing if your client is involved in repossession. But one of the most common areas for risk is the towing itself: depending on your client’s history, specific business, and towing equipment, having additional on-hook insurance coverage might be an immediate necessity. Some tow trucks are safer than others. What type of tow truck does your client have? Hook and Chain Tow Truck: This is the stereotypical tow truck that, while becoming a less common choice for towing companies, is still relatively common on the road. Because vehicles are secured with a hook near their front or rear wheels at a single point, there is a high risk for damage to third-party vehicles being towed. This damage can come from an improperly secured hook, meaning that a lot of stress is put on one part of the car, or from other vehicles on the road. Wheel Lift Tow Truck: These trucks are similar to hook and chain trucks, but instead of one central connection point between the tow truck and the vehicle, there are two: one at each of the front or rear wheels. While this mitigates some of the potential damage done along those connection points, this type of truck still leaves the vehicle vulnerable to general road damage. 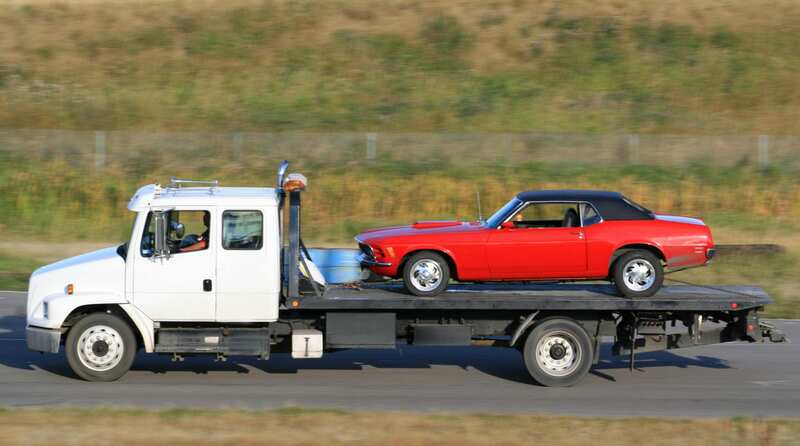 Flatbed Tow Truck: When given the opportunity, most towing companies prefer this type of truck over hook and chain or wheel lift tow trucks because of the safety features, and your insurance company should, too. Flatbed trucks lift the vehicle entirely off the ground and are equipped to safely secure everything from a motorcycle to a large SUV. Because no part of the towed vehicle is touching the road, this truck limits the potential damage that can be done to a towed vehicle. If your client has proof that their employees are proficient in how to load and secure vehicles on flatbeds, this type of tow truck is the lowest risk for coverage. Depending on the size of your client’s business, they may have a single truck or several of different varieties. Be sure to take into account the specific risks associated with each type of tow truck when considering how much excess liability coverage your client needs. If you want to learn more about why Prime Insurance Company is a preferred provider of excess insurance for towing companies, please contact us here.